A new web app called Scale Workshop allows you to design and play your own microtonal scales. You can also tune various other synthesizers with it. It has just reached version 1.0 and is now recommended for use by the wider musician community. Scale creation. Use the tools to generate and modify tunings automatically, or manually input your own. Import Scala and AnaMark tunings. Yes it works with that amazing 4000+ scale library that’s floating around the internet. 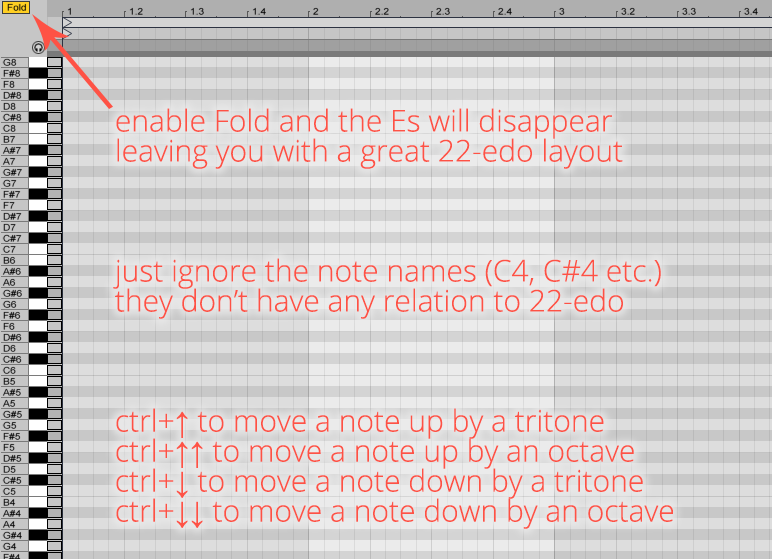 Export the most popular tuning formats easily. Converting .scl files and .tun files is fast. It also exports tuning files for Kontakt, Max/MSP and PureData. No installation required. Scale Workshop runs in your web browser on Windows, macOS, iOS, Android and Linux. Free and open-source. The software costs nothing and it is MIT licensed. Volunteers have already contributed new features and bug fixes on our GitHub repository. Feature requests and bug reports are welcome from anybody. What else does Scale Workshop do? 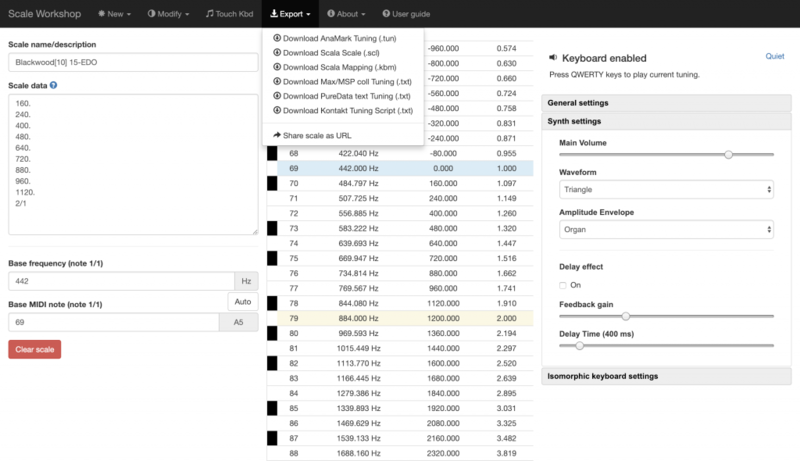 Scale Workshop puts a polyphonic synth right inside your browser. 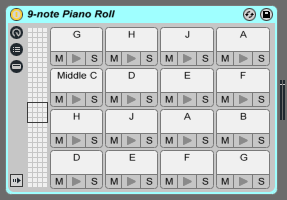 You can audition and perform your scales by playing with a connected MIDI controller, QWERTY keyboard, or by using the touch-screen overlay. Convert scl files and convert tun files to various tuning formats. Export formats include Scala .scl/.kbm, AnaMark TUN, Native Instruments Kontakt tuning script, Max/MSP coll text format and Pure Data text format. Share your scales with other people by copy-and-pasting the URL in your address bar while working on your scale. The recipient will instantly see your scale information and can play it using their keyboard. This is invaluable for communicating your tuning ideas with others, or allowing your musical collaborators to export your tuning in whatever format they prefer. Try it out. Display frequencies, cents and decimal values for your tuning across all 128 MIDI notes. Note that this list is incomplete. This has been a labour of love for almost 2 years – I hope that many people will find it useful! If you want to share any work you’ve created with Scale Workshop then I’d love to hear about it. Now that Scale Workshop is in a stable state, I am going to focus my attention back on composing new music and hosting the Now&Xen microtonal podcast. I’m always keen to see how other musicians are creating microtonal music and the ideas behind their craft. For a few years now I have been building a YouTube playlist of microtonal music tutorials and explanations. As the playlist now has over 140 videos, it’s a good time to share these hours of content with others. One thing that makes microtonality fascinating is that the newcomers are exploring new tonal structures that even the old masters haven’t heard of. But new or old, when a musician shares their insight in a video, I include it in the above playlist. The playlist features videos from: Tolgahan Çoğulu, Adam Neely, Dolores Catherino, minutephysics, This Exists, Elaine Walker, Stephen James Taylor and others. Of all the software synths in the world, very few of them support microtonal scales. If you are a musician using Linux and open source software then your options are even fewer. It’s for that reason that I want to celebrate the news that amsynth 1.8.0 adds support for microtonal tunings! 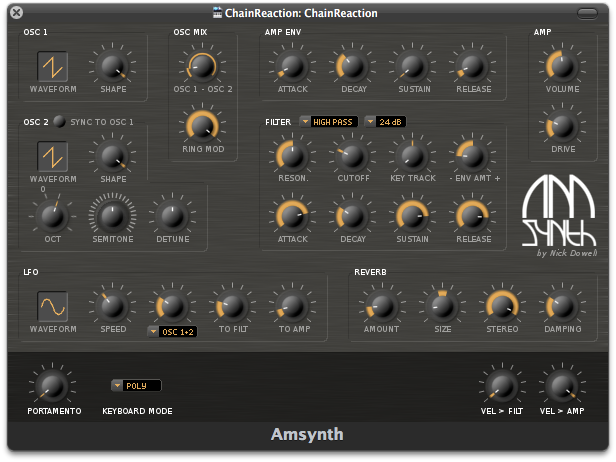 amsynth is a virtual analog synthesizer that runs as a standalone or VST, LV2 or DSSI plugin. Its sonic characteristic is similar to other popular digital VA instruments – fantastic for leads, basses and stabby chords. It’s light on the DSP and the controls are very easy to understand, so amsynth will rightfully earn a place in my toolkit once I move my music production machine over to Linux. If you’re unable to use the above, download the source for amsynth 1.8.0 and build it. 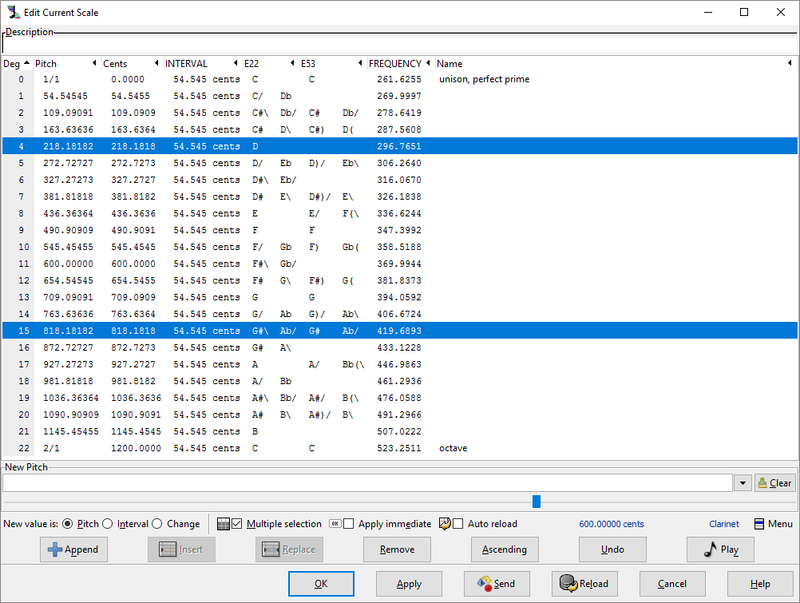 Once you have amsynth up and running, microtunings can be loaded by right clicking the interface and selecting a .scl file. In addition, you can load up a .kbm file for custom key mappings. If you need some Scala tuning files (.scl) to play with, generate some with my Scale Workshop browser tool, or install Scala itself. Scala is extremely powerful, though you need to install it to your PC along with all its dependencies. Developers, TAKE NOTE of what amsynth developer Nick Dowell has achieved here – .scl and .kbm formats are BOTH supported. .scl files specify the intervals in the scale, and .kbm specify the base tuning of the scale, whether it is A = 440 Hz or something else entirely. Without supporting both of these formats, a synth could barely be said to support microtonal scales at all. I’m so pleased that amsynth gets this right. Judging by this page on amsynth’s GitHub, it looks like amsynth may become cross-platform in the future. 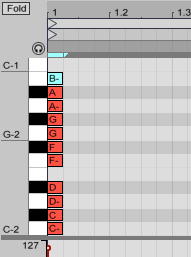 Should this ever happen, then Windows and Mac users would also have access to this nifty, free and microtonal instrument too. I look forward to this and will follow amsynth’s progress into the future. 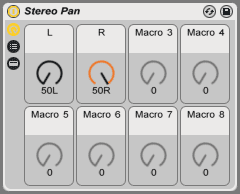 Retune for Live is a Max 4 Live MIDI device which accepts MIDI notes as input, then outputs polyphonic microtonal MIDI which you can route to your MIDI instruments. It works on instruments that don’t support microtonal scale input, as long as they respond to pitch bend. You specify the microtuning via csv file or scl tuning file. It all works simply enough. 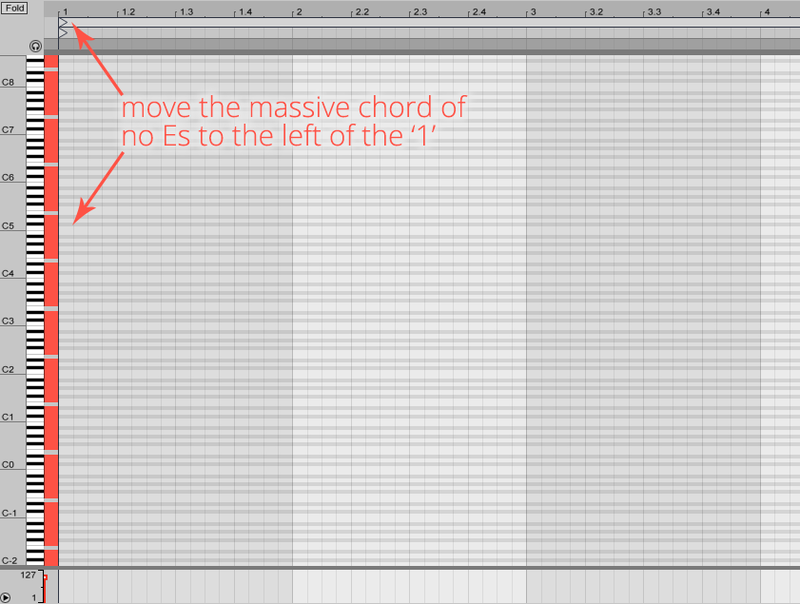 You have one MIDI track where you can play and record polyphonic MIDI. The Retune for Live transmitter device sits on this track and beams the note & pitch-bend data intelligently to a number of receiver devices, each of which working for one monophonic part. So if you want 8-note polyphony then you must have 8 instances of the instrument/VST each driven by their own receiver device. When I write microtonal music I usually rely on VSTis which have support for full-keyboard microtuning built in. There should be no compromises in your art – and my art is microtonal so if a synth has no microtuning or dodgy microtuning then I don’t use it at all. Except that for a long time I have wanted to hear Clotho from the Columns soundtrack rendered in quarter-comma meantone tuning. 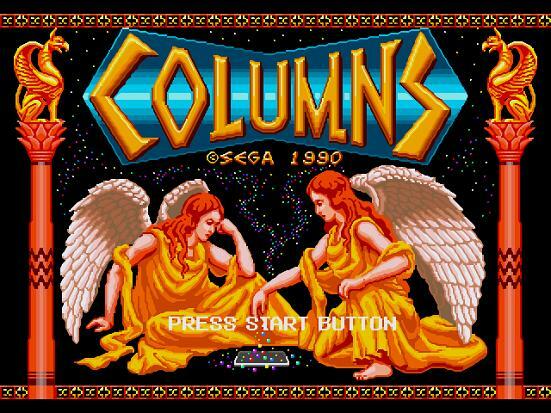 To faithfully recreate the sound of the original game, I set out to use a YM2616 simulation. I found two YM2616-esque VSTs, GENNY and FMDrive, but GENNY doesn’t even have working pitch bend, so that’s straight out the window. I tried Retune for Live and it just worked! So if you have Max 4 Live and want to get microtonal sounds from a synth that can’t be microtuned, give it a try. You can download Retune for Live for free or pay-what-you-like donation from the author Ursine. As much as this solution was successful in my case, it uses more CPU power since you have to run multiple instances of the same instrument. For that reason I will avoid this solution for larger projects. 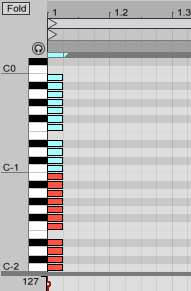 But if you really need a certain sound (and you already paid big buck$ for Ableton Live and Max 4 Live), then Retune for Live might be the way to go. Several months after my explorations with Retune for Live, I did convince the developer of FMDrive to implement some microtonal functions, but that’s a story for another day. As for my quarter-comma meantone rendition of Clotho, that was sadly lost in the great didn’t-back-it-up-and-hard-drive-died catastrophe of Spring 2016. It was badass though, I’ll remake it one day. Xen-Arts have recently made available a pack of microtonal tunings that you can download and use in your projects. Various formats are included, so all you need is a VST instrument that supports .scl Scala files, AnaMark TUN files or MIDI tuning dumps. The pack includes equal scales, harmonic scales, subharmonic scales, and three of Wendy Carlos’ non-octave temperaments. This resource is a good alternative to the whopping 4000+ Scala file database that leaves many beginners paralysed for choice. 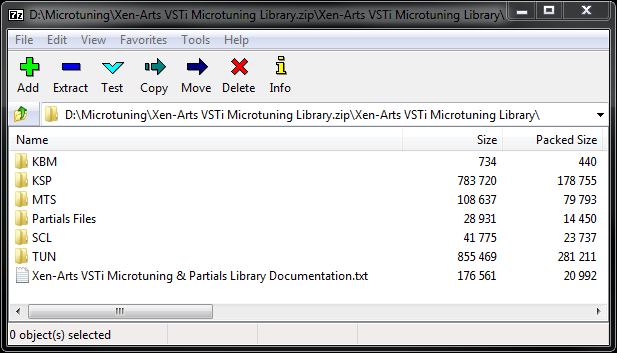 The Xen-Arts’ pack provides text documentation to help you understand the tunings included. As such, I believe it’s a good resource to get you started. Some time ago, I also produced some starter packs of microtuning files. Using these in addition to the new Xen-Arts pack will keep you busy for several months at least. By that time, you should be crafting unique microtonal scales of your own. I have covered this topic before on my blog, but I thought I could do better and make a short video tutorial. 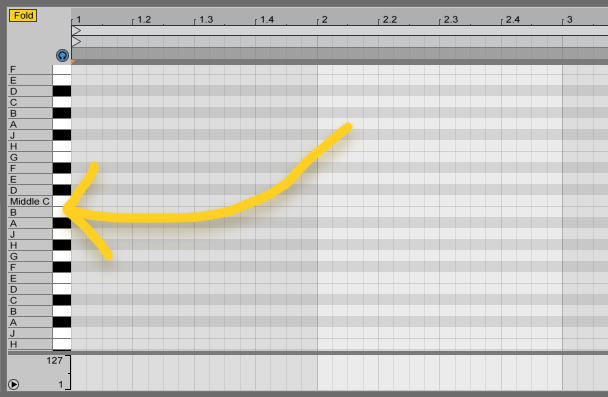 When you’re designing musical tunings in Scala, you might eventually want to export your tuning to use it in a synthesizer. Synthesizers support various tuning file formats, so you’ll need to know how to make a few different kinds. This video shows you how to export Scala files (.scl), export AnaMark tuning files (.tun), and export MIDI Tuning Standard dumps (.mid). Right at the end of the video you’ll also find out how to retune other synths like the Yamaha DX7ii. This is my first video tutorial, showing how to design a distorted bass sound using FM synthesis in Xen-Arts’ FMTS 2 VSTi. FMTS 2 is a freeware VST instrument for Windows which allows you to play microtonal scales. It’s developed by Xen-Arts. The FM operators can themselves be tuned to microtuning-related frequency relationships, so that the timbre has a sort of spectral microtuning within it. Quite mindblowing stuff and seriously underrated. The tutorial just demonstrates a basic workflow, and it’s possible to go way deeper with this synth. If there is any interest in further videos like this, best to leave a comment below or on the YouTube video itself.